Menu The Added Goodness of Protein! Menus / Specials / The Added Goodness of Protein! Healthy meal options are important! At Braum’s, we know that protein is a vital element for any well rounded meal. This is why we are now offering a FREE 6 oz. 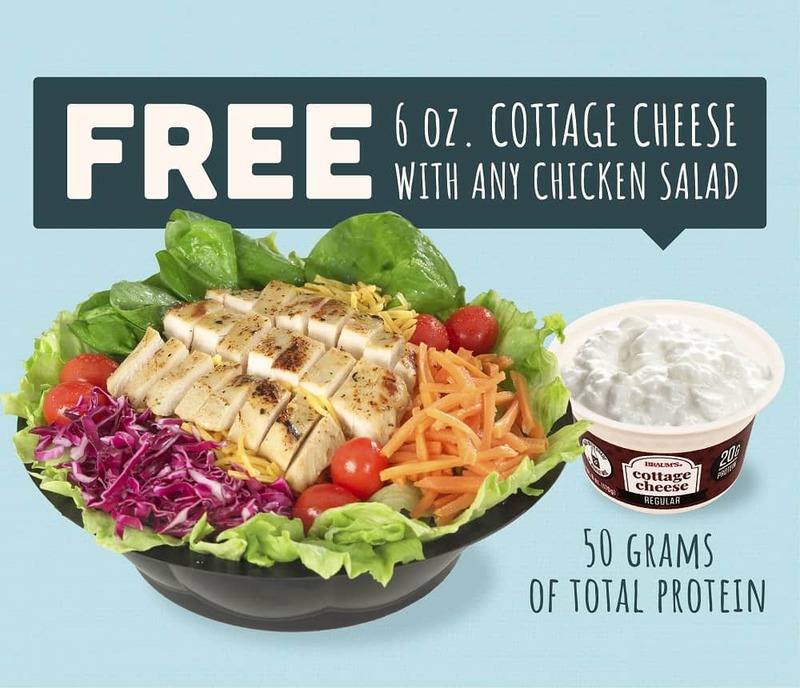 serving of Braum’s Farm Fresh Cottage Cheese with every chicken salad. Talk about a protein packed meal. We’re not sure how long this great combo will be available, so head to your closest neighborhood Braum’s to get it today!